There is not a day that goes by that I don’t break out a Nuby item. They help with breakfast, bathing, play time, and dinner! Here are some of my favorite Nuby Items. This post is a sponsored post, but all opinions, stories, and my experience are all personal and true (like always)! We all know little ones can either love or hate bath time, but with Nuby Bath Tub Tugs you can make bath time fun for your little ones. These are recommended for 6+ months and are more fun when your little one can sit up and play with these in the bath. They come in packs of two and are so cute. These little boats are made with bright colors and different characters to capture your baby’s attention. These are just so fun to watch your little one play with. My nephew loves driving his boats around his tub all the time, he even plays with these outside of the bath sometimes just because he really likes them. I know a lot of people with babies that use pacifier clips and so I wanted to get my friend the nuby pacifier teethers for their little one and they absolutely love it. This product is amazing, now your little one can chew on this and play with it and just have fun. These are made with extra soft silicone teethers that feel amazing to babies when they are teething. Plus there is a pacifinder to attach your little one’s pacifier too. How amazing is that, you not only get a pacifier holder but a teether also. These have different shapes also that babies love chewing on. 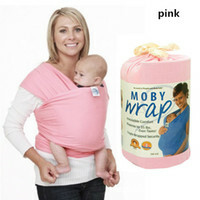 These are good starting at any age so if you have a baby or are having a baby I would suggest getting these. Blankie Pals are so cute and so fun. They are Extra soft plush and made with crinkle fabric. These are made with multiple teething surfaces for your little one to chew on. These Blankie pals can be fun to play with, hold onto for comfort or chew on. They come in 3 different animals including an owl, elephant and ladybug looking one. I actually gifted all three of these to a friend who just had a baby 5 months ago, not only does her baby love these but so does her 2 year old, he actually sleeps with one of these at night. I love the Nuby Reversible Teething Bibs. These things are so cute and have a different pattern on each side as well as a dribble catcher with teething corner at the end. This is great for when babies start teething, we all know they are always drooling and looking for something to chew on. With this you both in one products and these are just fun for your little ones to chew on. The cotton helps to absorb the drool so it doesn’t run down on their clothing. The Nuby Free Flow Grip N’ Sip is great for babies 4 months and older who are ready to start learning to drink from a cup. These cups hold 8 ounces and have a bite resistant spout. I love that because it seems like all babies love to chew up the spouts on their sippy cups. These cups have small grips on each side making it easier for your little one to hold, and the free flow spout makes it easy to drink out of. This is definitely a great cup when starting to drink from a sippy cup.